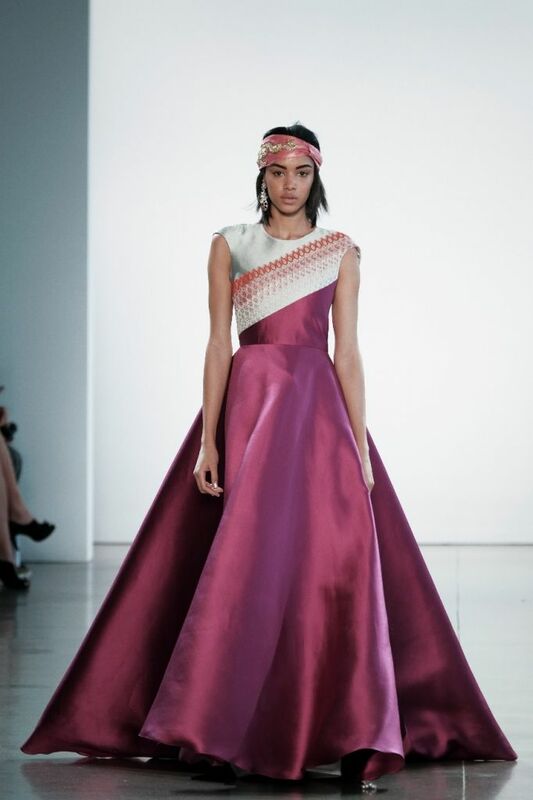 Bibhu Mohapatra is no stranger to the glitz and glamour of the international fashion scene. Having designed dresses for both Michelle Obama and Gwyneth Paltrow, this world-renowned dress-maker is one of the most in-demand of the moment. This New York Fashion Week, he could be found doing what he does best, lighting up the catwalks of the “Big Apple” with a fabulous combination of his unique designs, elegantly adorned with the finest Preciosa crystals. His FW18 collection is inspired by Francesco Clemente’s portraits from the film Great Expectations and makes use of the striking contrast between Japanese lace and structured silk wool. Also prominently displayed were organic shapes fused with linear patterns and of course, Preciosa crystals. His show on Friday, February 9th saw 34 pieces displayed in total from his new capsule collection of separates entitled Sashi by Bibhu; crystal, lace and feather embellishments took on a feature role, and the show was widely regarded as one of the most vibrant of the week. 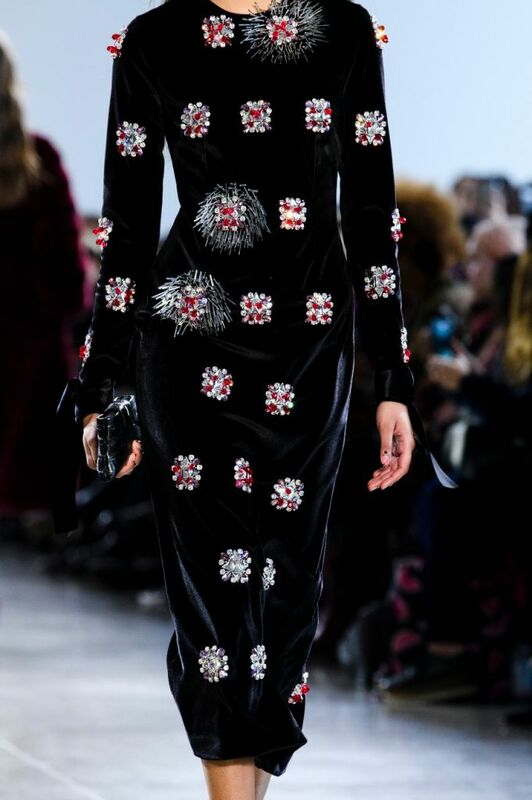 Standout pieces from the collection included an intarsia multi-mink coat with artic fox collar accompanied by an ivory Preciosa crystal-embroidered dress, a Preciosa crystal-urchin embroidered compressed wool coat over a guipure lace mini-dress, and an embroidered sweatshirt with Preciosa crystal-embroidered compressed mini-skirt. Bibhu Mohapatra has collaborated with Preciosa on multiple occasions; last November he designed and created a doll that was auctioned for charity in New York that was covered in Preciosa crystals. For more information on Bibhu Mohapatra and his latest collection, visit www.bibhu.com.